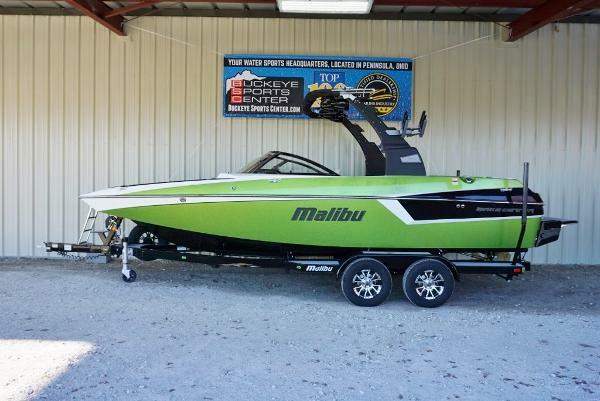 2017 Malibu Wakesetter 22 MXZ Exciting new 22 MXZ completely redesigned for 2017! 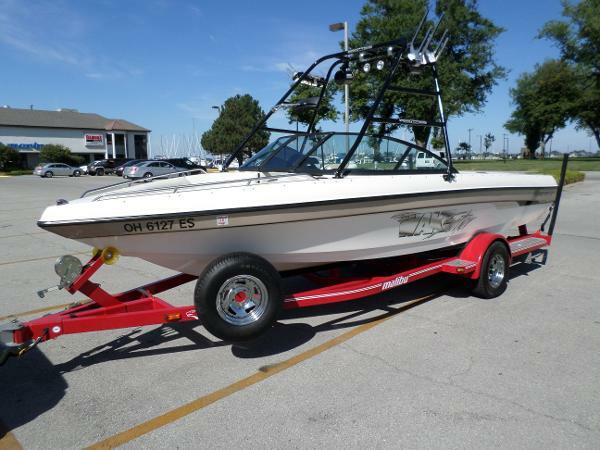 This in-stock boat is Loaded with features and upgrades! Includes G4 Tower with Pistol Bimini, PTM Clamp Wakeboard Racks, PTM Panoramic Mirror Upgrade, Deck Trac Non-Skid, Heater, High Torque Prop Upgrade, MXZ Pack Stereo with 8 Speakers Plus 4 Wetsounds Tower Speakers and Sub, Soft Grip Flooring, Wake View Seating and Wake View Slider Seat, Backup Camera, Chart Plotting GPS, 3 Pair Pull Up Cleats, Trailer Bow Step. A sure head turner on the water! 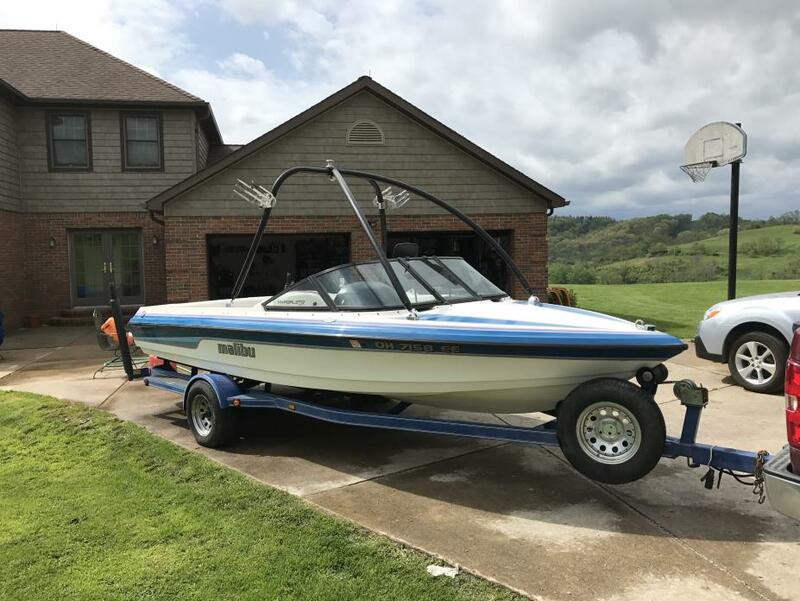 The 22 MXZ is a fantastic boat for all skill levels, with room for up to 14 peopleplus optional wakeview seatingand more than enough power to haul them all and easily kick up giant wakes. It's a pro favorite, but its incredible versatility lets you easily mellow out the wake for beginner and intermediate riders. And with our revolutionary Surf Gate, you can switch to wakesurfing in seconds. All Wakesetters feature upgrades like a new helm seat, new upholstery, a new windshield design, more hoop-color options for the G3.2 Tower, a larger phone holder, and phone profiles via Bluetooth. Upgrade options for the 22 VLX include the new hydraulic Surf Gate with Surf Band wrist remote, the gold-standard G4 Tower, the hydraulic Power Wedge II hydrofoil, and G-Force Wet Sounds speakers, as well as a rear-view camera to keep an eye on whats happening behind the boat, action-camera mounts on the transom, a power-adjustable helm seat, fender locks, drain-plug sensors, 300% brighter underwater lights, Deckadence carpet, and the Sport Dashs intuitive analog control dial for the Surf Gate, Power Wedge II, speed, and stereo. 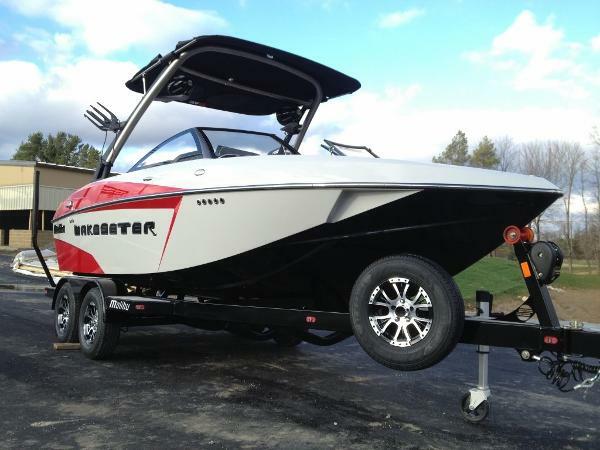 2017 Malibu Wakesetter 23 LSV Check out this ultimate wakeboard & surf boat! #1 Selling Towboat in the Industry! Monsoon 6.2L 410! Loaded with Upgrades and options! Cover, Bimini with Surf Storage, Stereo System with 8 Boat Speakers, Subwoofer, and 4 Tower Speakers, Extra Bow Ballast Tank, Plumbing for Rear Plug n Play Ballast, Surf Gate, Power Wedge II, Sport Dash with Joystick Control, Spare Tire, Ratchet Straps on Trailer, Metallic Upgrade, Deck and Hull Color Upgrade, Two-Tone Trailer Paint, Prop Torque Upgrade, 3 Outlet Heater, Soft Grip Floor Upgrade, Backup Camera, 3 Pair Cleats, Bow Pop Up Light, Trailer Light Malibu's all-time best-selling boat is back and better than ever. This 23-footer hits the sweet spot and not only sets but continually raises the bar. 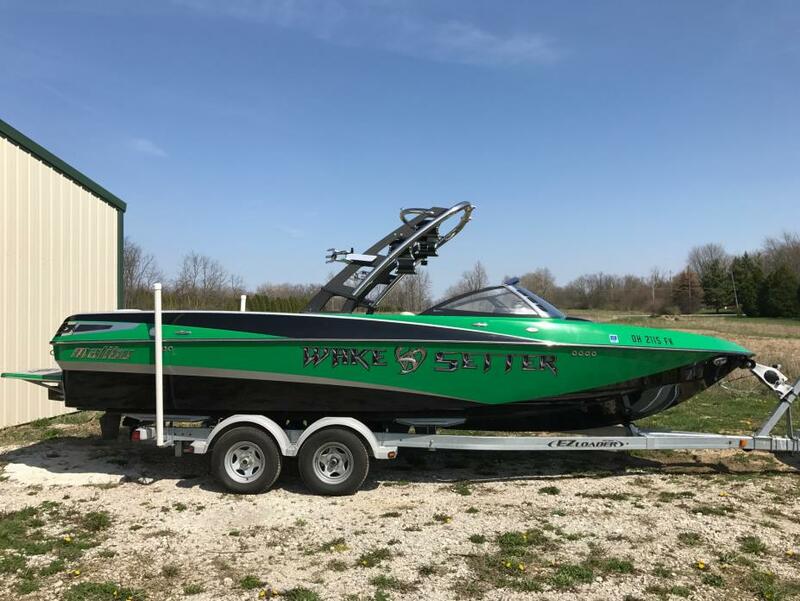 If you ever hear another watersports boatmaker admitting how fierce the competition is, know that they're talking about Malibu and the Wakesetter 23 LSV. It stands alone and never lets up, always delivering unmatched performance, stability, quality, and safety, no matter the conditionsall while kicking up the truly unparalleled wakes that riders and surfers live for. Running with its innovative wake-and-wav-maximizing hull, our hydraulic Power Wedge II, Surf Gate, and our on-the-fly Quad Hard-Tank and Plug 'N' Play ballast systems, the 23 LSV is unbeatable out on the water, setting up what are without questions the biggest and best wakes and waves in the world of watersports. With all this, Malibu's legendary luxury is just the cherry on top. All Wakesetters feature upgrades like a new helm seat, new upholstery, a new windshield design, more hoop-color options for the G3.2 Tower, a larger phone holder, and phone profiles via Bluetooth. Upgrade options for the 22 VLX include the new hydraulic Surf Gate with Surf Band wrist remote, the gold-standard G4 Tower, the hydraulic Power Wedge II hydrofoil, and G-Force Wet Sounds speakers, as well as a rear-view camera to keep an eye on whats happening behind the boat, action-camera mounts on the transom, a power-adjustable helm seat, fender locks, drain-plug sensors, 300% brighter underwater lights, Deckadence carpet, and the Sport Dashs intuitive analog control dial for the Surf Gate, Power Wedge II, speed, and stereo. 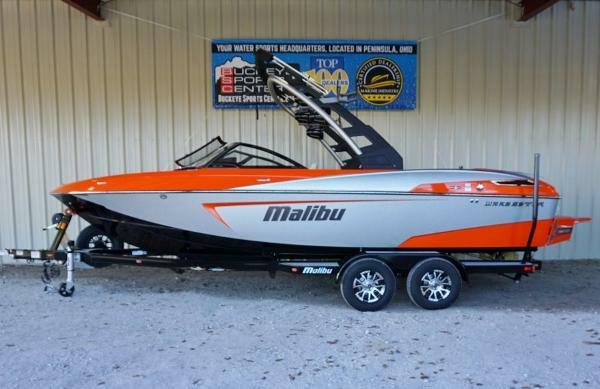 2016 Malibu Wakesetter 20 VTX Check out this ultimate crossover boat- Ski, Surf, and Board! - Hull base color upgrade - 1 pair tower seakers ICON 8 with Amp - Center pylon - BACKUP CAMERA, DUAL BATT, POP-UP BOW LIGHT, TRL BEZEL LIGHT CVR, 2 PAIR CLEATS One boat, three sports, zero compromises—that’s the all-new Wakesetter 20 VTX. The 20 VTX is known as the crossover king, recognized as the best ski/ride/surf boat on the market—and now it’s even better. Ideal for the those who love wakeboarding and—surfing as much as waterskiing, the VTX fits easily into the average garage, and a removable center pylon maximizes skiing performance. With a few quick taps on our dual-touchscreen Command Center, you can fill up to 1,250 pounds of hard-tank ballast, 1100 lbs of Plug N Play ballast, set the bigger, hydraulic Power Wedge II for 1,500 more pounds of ballast, and engage our revolutionary Surf Gate to create the perfect surf wave. For multisport enthusiasts, the unique T-Cut Diamond hull developed for the the record breaking Response TXi is specifically engineered to lay down tournament-quality slalom wakes. With the largest cockpit of any crossover boat on the market and seating for up to 11 people, the 20 VTX is roomy enough to show your friends what it’s like to ride in Malibu style. 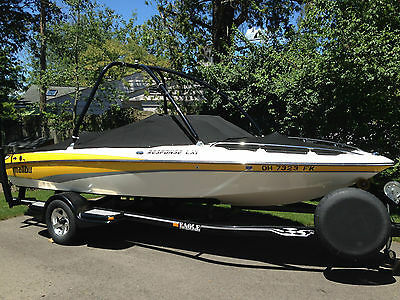 2000 Malibu Sunsetter LXi 2000 22' Malubu Sunnsetter LXI completion ski/wake board boat. Fresh water boat and gently used! Super clean, almost factory new. 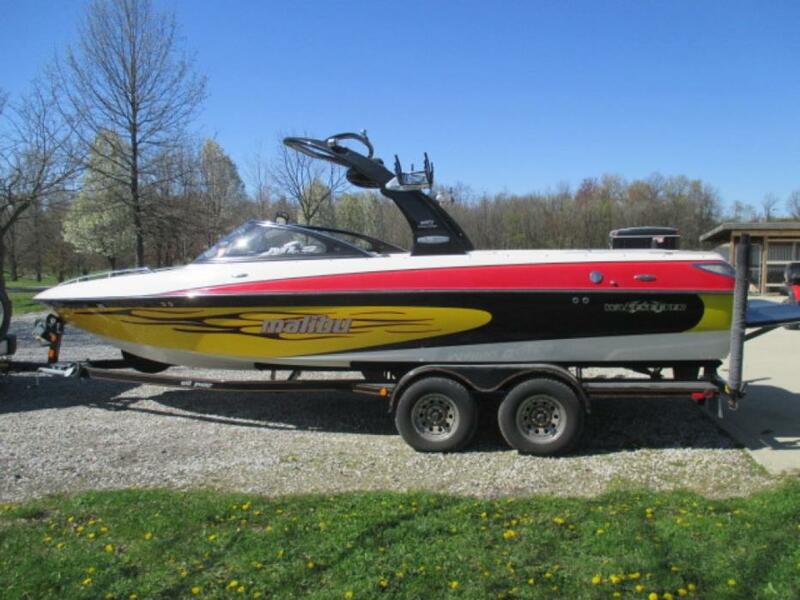 She is loaded with all kinds of equipment for any type of skier or wake board enthusiast. Options such as, ski tower which contains, lights, stereo speakers tow pylon, racks for skis and wake boards, cockpit pylon, swim platform, " The Wedge" a wake enhancement system, a bare foot trainer bar, sun pad, rear trunk for storage, full mooring cover, cockpit cover, bow cover, depth sounder, flush-pro engine flush system, a beautiful custom painted trailer with side guides, brakes, spare tire, and swing away coupler and more. Well maintained and it shows nice! Call for more details, it will not last long!! 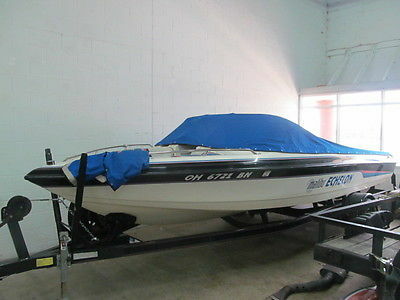 2003 Malibu Response LXi, low hours, immaculate condition. Perfect pass/tower. 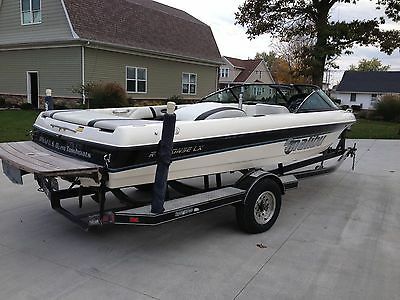 1995 Malibu Mer Crusier 350 Fuel Inject Ski Wakeboard Boat New Cover in 2012 New Upholstery on Rear Seat New Motor in 2011 - Less than 100 hours, new pumps, throttle cables and linkage. Stored Indoors at all times Will Deliver up to 200 miles.